Buy and Download > Description With oil and gas prices soring thru the roof, this is great reference ebook to educate you on what exactly is the refinery process. 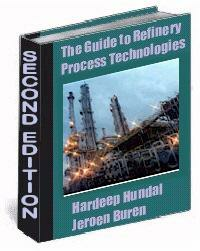 This is the 2nd edition of the refinery process guide and it is the continuation of the 1st edition produced in 2003. The refinery process guide gives an overview of most of the refinery process technologies used in refineries around the world. The new topics that have been added are Oil Movements and Product Blending, Waste and Water Treatment, Process Control and Optimization and Utilities. Furthermore, a section on the refinery organization has been added. These are essential areas that are equally challenging as the process technologies used to convert black gold to valuable products. Also, as the saying goes “A picture paints a thousand words”, as an addition to the 1st edition, there are snap shots included of the various refinery processes that can be found at refineries. 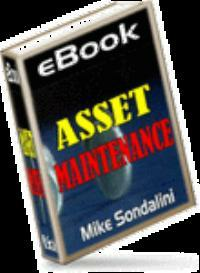 It provides an extensive and deep knowledge as well as description of the technology and is catered for chemical engineering students, refinery employees, as well as those non technical people wanting to have a “feel” of refinery technology.This 61 page 2nd Edition e-book, caters very well for refinery process, maintenance and operations staff, chemical engineering students and technical sales staff of vendors who need an understanding of the business the business their customers is in. As a traveling sales person, you’ll find this a ‘must have on the laptop’ before visiting any refinery.The Guide to Refinery Process Technologies 2nd Edition is comprehensive and at the same time compact and therefore makes an excellent hand-out for training programs.